Collectable Cards: Rogerstock Ltd. - 50 Steam Traction Engine Prints - Road Locomotive by John Fowler & Co. (Leeds) Ltd.
Rogerstock Ltd. - 50 Steam Traction Engine Prints - Road Locomotive By John Fowler & Co. (leeds) Ltd. Produced by us : Rogerstock Ltd., and has been printed with lightfast inks on 230 g.s.m. silk board. 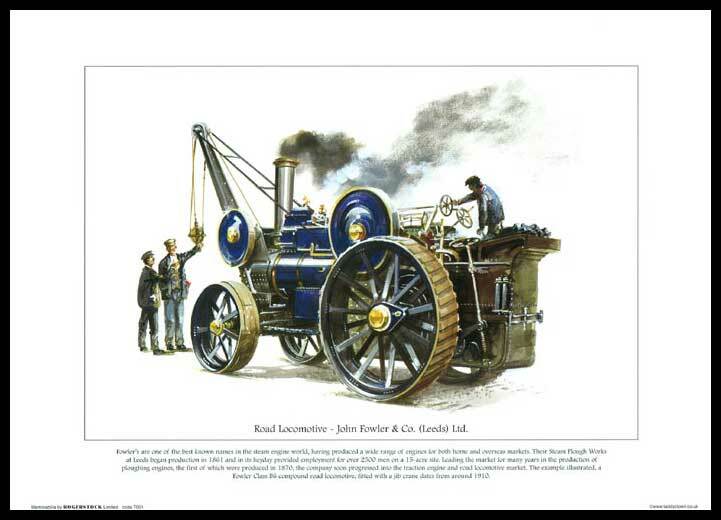 Road Locomotive by John Fowler & Co. (Leeds) Ltd.
An ideal gift for any card collector, historical or nostalgic memorabilia collector or maybe even a present for yourself.